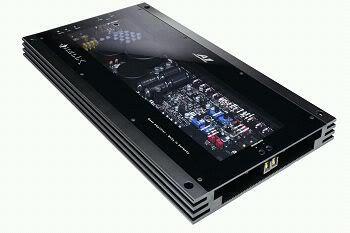 This new range of reference component systems fully demonstrates JL Audio’s obsession with accurate sound reproduction. Each step of the ZR development process was driven by the goal to create a mobile sound experience like none before. Through the implementation of proprietary technologies and intense optimization of mechanical, electromagnetic and filter systems, ZR raises the bar for automotive speaker performance. 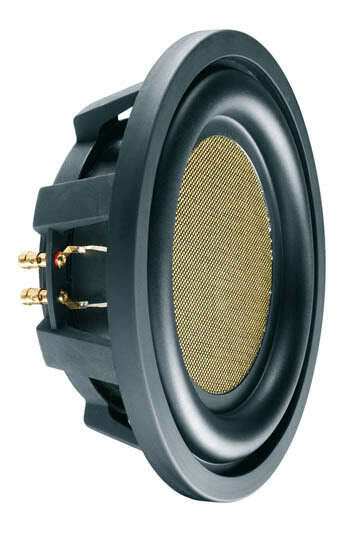 Our N°5 two-way system is based on a 5’’ (130mm) midrange woofer, the 5 W2 Be. It is reproducing a large bandwidth from mid to low frequencies in order to merge easily with a subwoofer, its “W” cone, both light and well damped, allowing to reach down to 80Hz with a perfectly balanced response. This woofer appears to be the downright complement to the Beryllium tweeter on account of the richness and extraordinary definition of the mid frequencies. 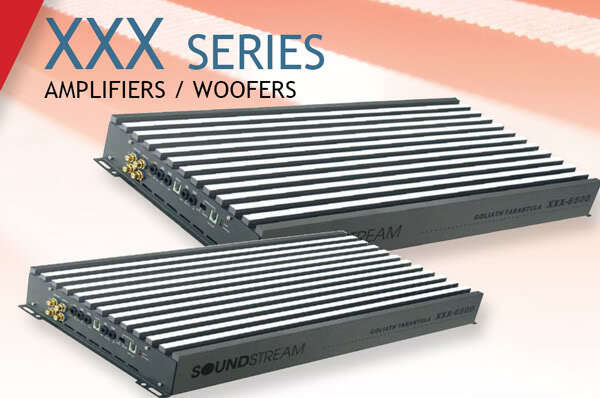 Its on axis frequency response and its energy response across the whole spectrum are ideally harmonized and result in an overall low directivity pattern. Its compact design makes it extremely well suited for easy installations just about anywhere in most vehicles, including doors and kick panels, while providing exceptional stereophonic imaging. Wherever you choose to install it, the N°5 system state-of-the-art performance will be magically enhanced by the Crossblock crossover, which thoroughly insures a complete adaptation of the loudspeakers to their acoustical environment in the hands of a fine installer. Considering the simplicity of integration and the exceptional Utopia Be sound, system N°5 is the perfect solution for a compact 2-way installation complemented by a separate subwoofer. 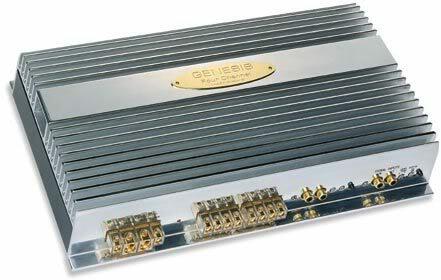 The Graphic Edition is the optimized series of the legendary 2- and 4 channel Brax High End amplifiers in terms of audiophile sound quality and power. The transistors of the Graphic Edition were selected in more than 300 kinds with an especially developed measuring device.The most important lines on the circuit board are reinforced with silver wires, to avoid even the smallest lost of power that can affect the dynamics. Especially made Burr-Brown OPs are used for the signal line to achieve the most precise and natural sound reproduction. This amplifier is designed for complete system flexibility.The Four Channel provides serious performance with a host of innovative features including smart switching sockets to give a seemingly unlimited variety of system configurations. 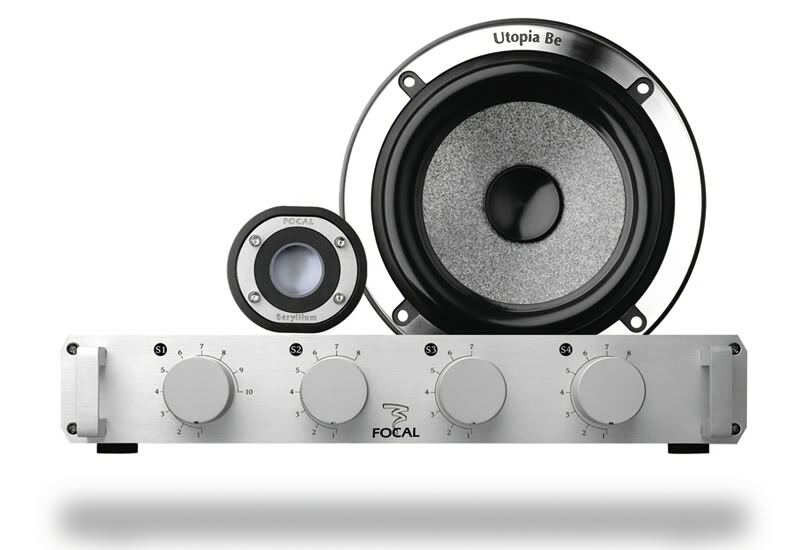 From the most straight forward system using front speakers plus a subwoofer, to more complex options, the Four Channel will never disappoint. Just connect up the speaker system and the amplifier will do the rest. The QmosII are the outcome of more than ten years of research carried out by G.T. Trading in the field of amplification. A thorough re-examination of the electrical equilibriums has accompanied the over-dimensioning of the Mosfets stages of amplification, along with the meticulous selection of the components. Each section of the project has been optimized with an almost maniacal precision; the accurate calibration of the final states and the verification tests which every amplifier has been submitted to have enabled us to make another step in our pursuit of perfection. 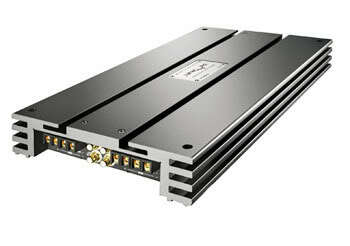 The amplifiers' performances are first-rate and invariable in time. 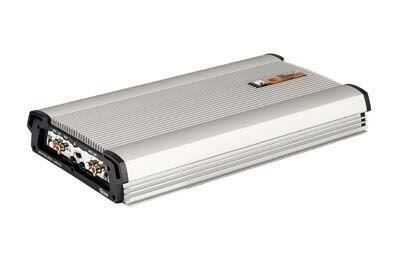 This "evolution" is the natural extension of a project in constant development, aimed at crafting automobile amplifiers with excellent technical characteristics and distinctive sound quality. Stereophonic amplifier with stabilized power supply by P.R.H.E.S.S. technology until 11Volt battery voltage. High-Grade components, DC Switching over voltage. GR.I.P.S. Ground Improvement Path System in order to immunize the circuitry from electromagnetic noises. Developer in "Straight Sound" technology with short audio signal path. 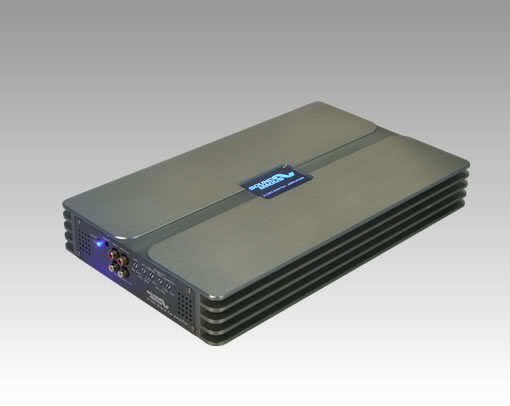 Integrated Electronic Crossover using AQXM" high precision Frequency modules, switch able in High pass or Low pass by 12 dB/oct, slope. Q factor available selection in 0.7 (Butterworth) or 1 (Tchebitchef). 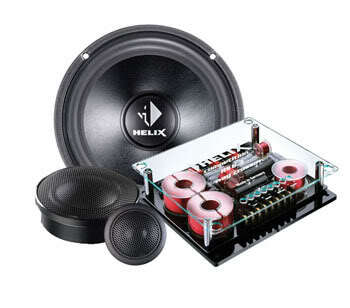 Audiophile Drivers for M.I.T.H.O.S. complementary Mosfets circuitry, 2 ohm load stable, Simultaneous Stereo/Mono driving "Trimode". Auto-reset global protections. TRIMFEET fixing by sliding foot. 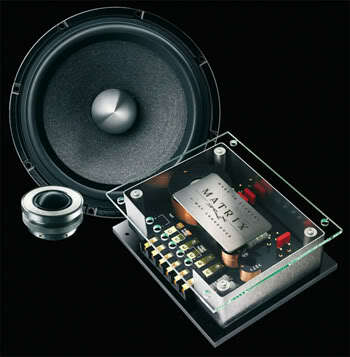 ambition to create outstanding products for the pleasure of pure sound. 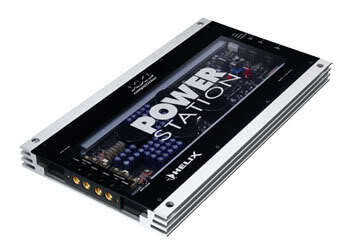 Adjustable Input level, LPF, Subsonic, bass boost function. Advanced short circuit, overload, over heat and low voltage protection. Easy bridgeable with same amplifier. 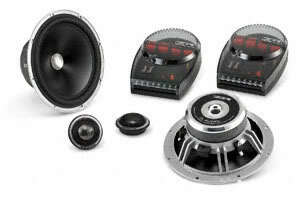 Some of the veterans of the car audio industry remember when amps weren't 2' long and subs weren't 60+ pounds. Over the years, amplifiers and subwoofers got bigger and bigger. Why? Because that is what the market asked for. Nowadays, people are asking for smaller products that do not take up the whole trunk. New technologies allow us to do this and still retain the quality of the monster sized products. Subwoofers do not have to be massive to be able to reproduce the bottom octave frequencies. And with some of the newer vehicles on the market, there is little to no room for subwoofers. For example, many people drive full-size crew cab trucks these days to pull their toy haulers. While some of these trucks may have some room under the seat, some do not. The room behind the seat will not accommodate a typical subwoofer, not even an 8” . Hence the reason for the trendy shallow mount woofers… Call me crazy, but I would rather have a strong 8” sub than a week 10” or 12” sub. In some cases, even an 8” will not fit. Shallow mount woofers have been out for a couple of years now and most come in at about 3” -4” in depth. 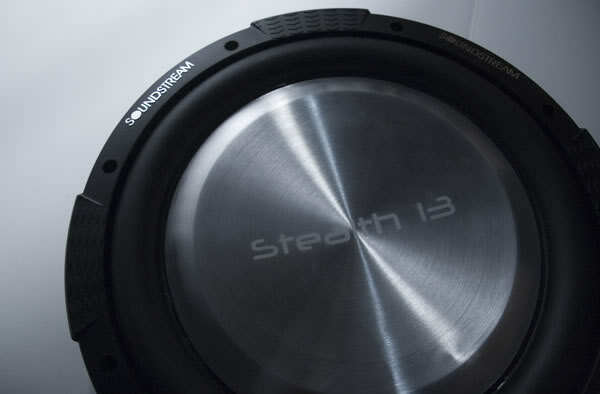 The new STEALTH-13 is a 13” subwoofer that is a mere 2” deep! When there is only 3” -4” of space behind a truck seat, no sub any deeper than 2” will fit. But the cool part is the way the driver was engineered. Basically, there are 3 design goals when engineering a new subwoofer… Efficiency, low frequency reproduction and low required air space. You can focus on any 2 of these and sacrifice the 3rd , or you can sacrifice a bit on all 3. Since this driver is not intended for SPL competition, we decided to sacrifice the efficiency a little bit. How much of a difference does this make? About 1-2dB as compared to a typical driver, which is basically inaudible. We engineered this driver to play VERY LOW in TINY BOXES! Obviously, if we cannot fit a large subwoofer, we do not have a ton of air to play with. 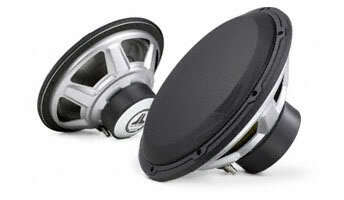 The STEALTH-13 13” sub will play lower in enclosures smaller than any other sub on the market. Most 10” subs require .5 -1 ft ^3 while most 12” require 1 -2 ft ^3. We suggest using this sub in stuffed Acoustic-Suspension (sealed) boxes. In ½ cubic foot (1/2 the size of a typical 13” subwoofer) the driver will yield an F3 (3dB downpoint) of 41.1Hz. In 1 cubic foot, the F3 is 33.05Hz. During testing, the STEALTH-13 yielded smoother, lower bass than average 12” drivers in 2 cubic feet tuned to 22Hz! 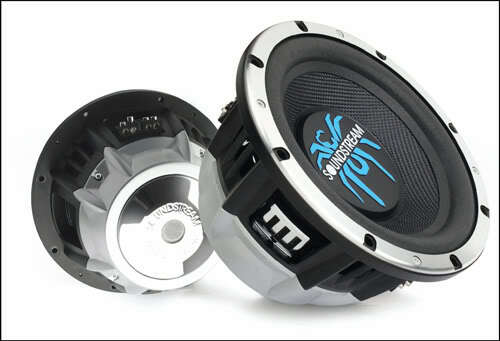 The skinny monster boasts a unique, custom cast aluminum basket, solid aluminum cone, NBR Rubber Surround, and a 5” voice coil. 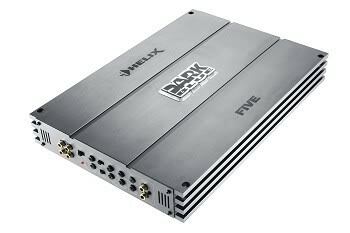 Power rating is specified at 200 watts so you do not need a huge amplifier to get great bass in minimal space. makes the mounting depth amazingly small. Bagay na sa amp mo. The all-new W1v2’s are poised to establish a new standard for affordable bass excellence thanks to technologies originally developed for our flagship W7 and W6v2 subwoofers. These include JL Audio’s patented VRC™, Elevated Frame-Cooling and Floating Cone Attach Method™ technologies, along with an innovative, insert-molded spider assembly with integral push-terminals and special strain-relief features. As with JL Audio’s flagship drivers, development was guided by JL Audio’s proprietary DMA modeling system to deliver outstanding dynamic stability and low-distortion operation within their intended power envelope. Optimized for compact enclosures and moderate power levels, and specifically engineered to reduce mounting depth, the W1v2's open up a whole new range of application options. .5" TFT LCD Monitor: This unit features a 3.5" TFT LCD monitor built into the motorized, fold-down faceplate. 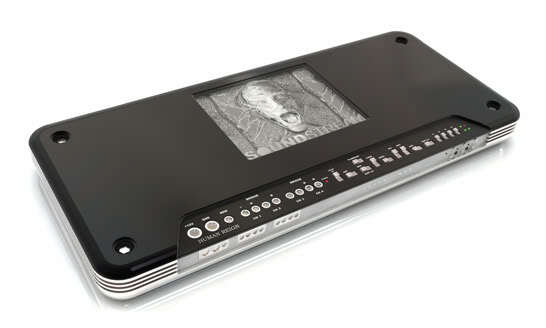 The LCD serves as a video monitor and system information display. Display Tilt Adjustment: The motorized display can be adjusted to one of three angles. Wallpaper: You can choose from the following wallpapers: Standard (blue), Rose, Gold, Black, Metal (gray), Metallic-Silver (silver diamond plate metal), Metallic-Green (green diamond plate metal), Honeycomb-Red (red honeycomb design), Honeycomb-Green (green honeycomb design), Effect-Orange (orange light pattern), Effect-Purple (purple light pattern), Clown fish, Ocean, Sunset, or Earth. Intelligent EQ (7-Band iEQ): This model has Hard Rock, R&B, Pop, Jazz, Dance, Country, Reggae, Classic, User 1, User 2, User 3, and Flat preset EQ curves. User 1, User 2, and User 3 presets can be adjusted to your preference and stored in memory. For each User preset, you can independently adjust the following frequencies: 60 Hz, 150 Hz, 400 Hz, 1 kHz, 2.5 kHz, 6.3 kHz, and 15 kHz. The level of each frequency can be adjusted from -5dB to +5dB in 1dB increments. Subwoofer Output: In addition to the 2.5V front and rear preamp outputs, this unit has a single 2V subwoofer preamp output on a 6" pigtail. The subwoofer output has independent level control, adjustable from -6 to +08, and a selectable phase setting that can be adjusted to Normal or Reverse. Crossover: The KD-AVX2 has an internal crossover that allows you to choose one of the following cutoff frequencies: of 80, 120, or 150 Hz. This crossover acts as a low-pass filter for the subwoofer preamp output and a high-pass filter for the front and rear preamp outputs.